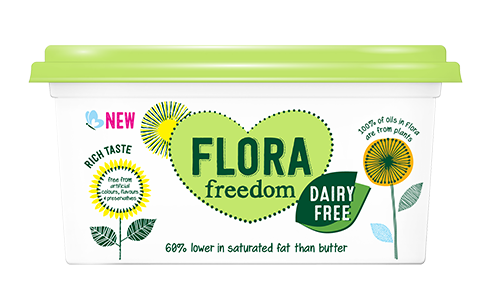 I’d like the thank Flora for getting in touch with me to help promote their new Vegan Society approved dairy-free spread. 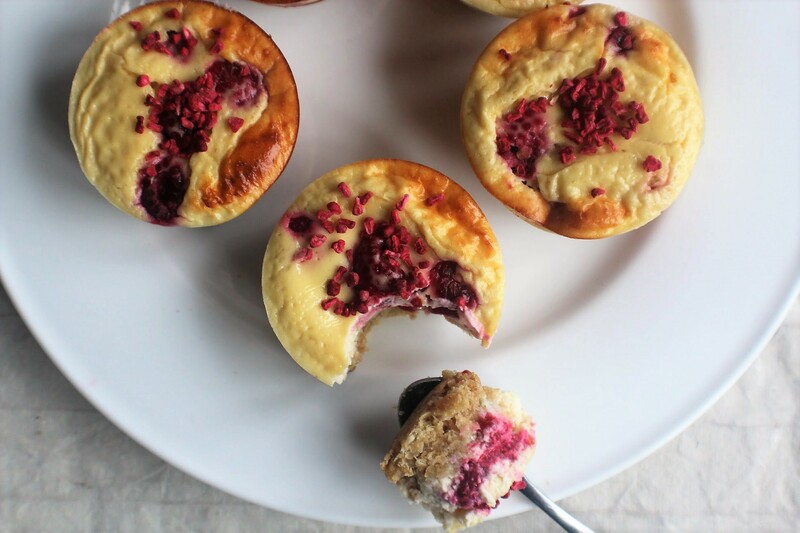 If you head over to the website, they have loads of wonderful dairy-free recipe ideas for using the spread, showing just how versatile it is to use in cooking and baking. 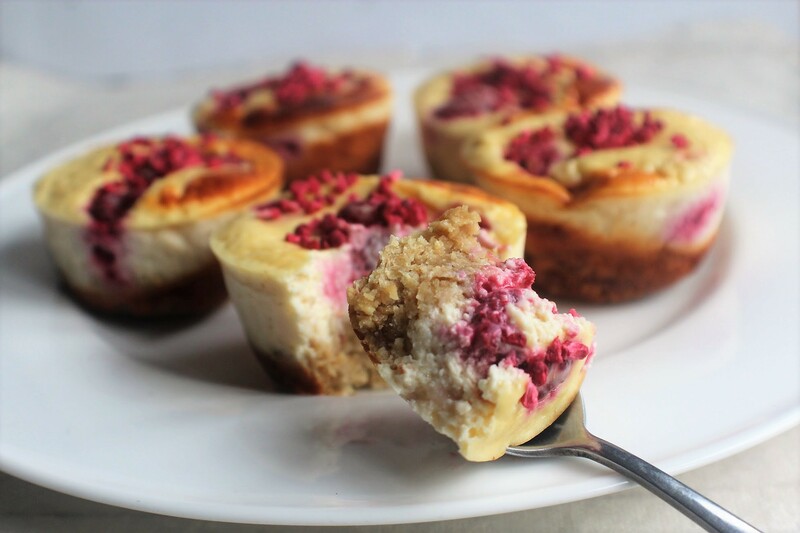 I was challenged to choose one of the recipes to re-create using Flora Freedom and put a healthier spin on it, so of course the Baked Raspberry & Lemon Cheesecake caught my eye: An oaty ‘biscuit’ base, creamy cheesecake layer on top and spiked with raspberries – yum! 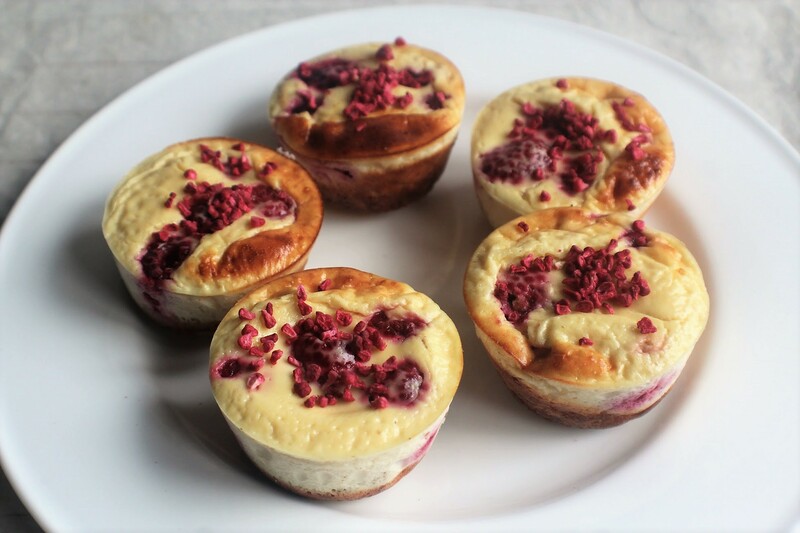 I adapted the method of the base, replaced the lemon in favour of vanilla, used stevia instead of sugar, used tofu as my dairy-free ‘cream’ alternative and made mini ones as individual cheesecake servings (because everyone loves a mini version, right?). The spread worked just like any other margarine or butter – you couldn’t taste the difference! 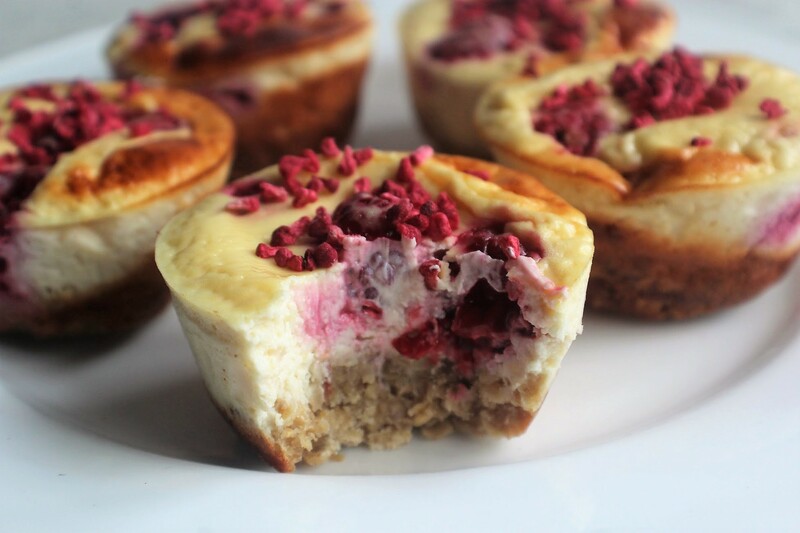 Decorated with extra freeze-dried raspberries for a pretty finishing touch, I was delighted with how these dairy-free cheesecakes turned out. 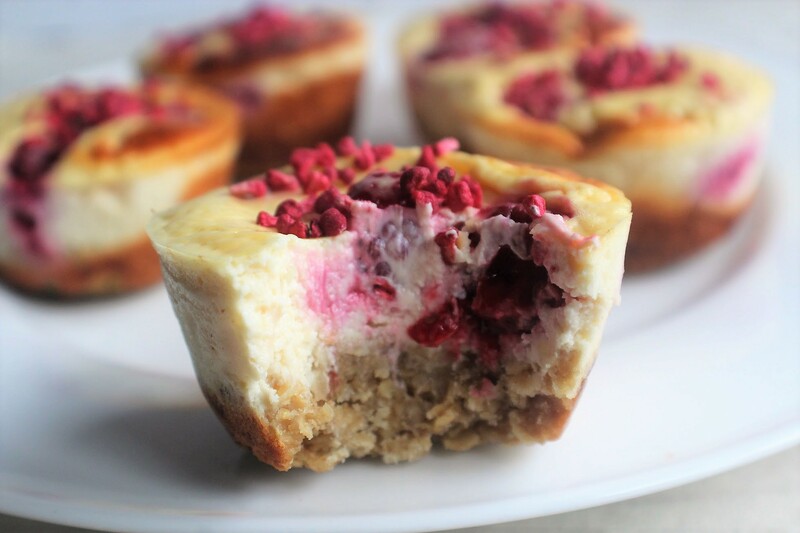 Preheat the oven to 190 degrees C and grease a 6-mould muffin tin (use a silicone one if possible). Melt the Flora Freedom in a small pan, then remove from the heat and stir in the stevia, oats and almond flour so it forms a flapjack-like texture. Divide this between the 6 moulds and press in with your fingers to cover each base evenly. Bake for 10 minutes until starting to go golden. 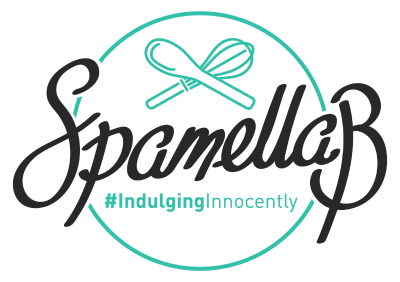 Meanwhile blend the silken tofu, eggs, vanilla, stevia and cornflour together until quite thick and smooth. Remove the tin from the oven and turn the temperature down to 160 C. Scatter over 4-5 raspberries onto each base then divide the blended mixture between each and pour over to cover and just about reach the top. Return to the oven for 20 minutes, until lightly browned and just set. Leave to cool completely in the tin then chill in the fridge before serving. Carefully remove each one then serve and enjoy!